Can I Sue the City and County of Denver for My Car Accident? According to a fact sheet from the Colorado State Patrol and Department of Public Safety, fatal motor vehicle crashes are on the rise in the state. Between 2016 and 2017 so far, auto accident fatalities in Colorado have increased by more than 15 percent. While the rate of injury crashes has decreased slightly, there were still 2,462 nonfatal injury collisions in the state as of early September 2017. How many of these crashes resulted from government negligence? And when these collisions occur, can you sue the city and county of Denver for your car accident? Dangerous condition of an area maintained by a public entity. Many traffic crashes in Denver happen because of another driver’s negligence. For example, drivers may be distracted behind the wheel, or they may choose to recklessly ignore the safety of other motorists by speeding. There are many ways in which other drivers can be liable for a crash, and in most of these cases, it may not be possible to file a claim against the city and county of Denver. In other words, the government might not be responsible for the collision. But there are certain cases where the government may be liable for your injuries. City and County of Denver’s failure to maintain traffic lights or other traffic signs. 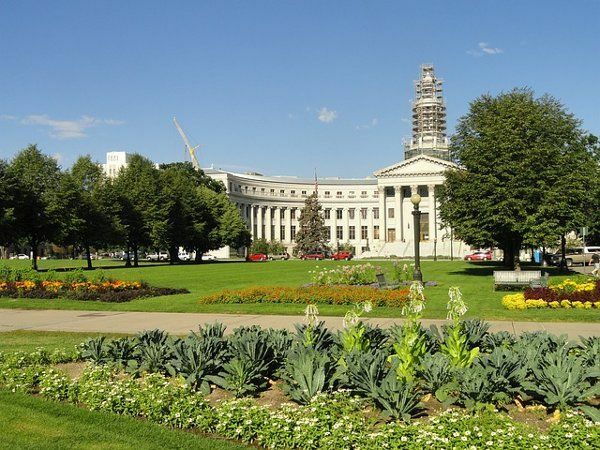 If you do have a case against the City and County of Denver, you will need to follow specific notice requirements. First, it is important to recognize that you must write and file what is known as a “Notice of Claim” within 180 days of the accident under C.R.S. 24-10-109. That Notice of Claim must provide specific information, including a statement about the nature of the crash and the monetary damages that you are requesting. Your Denver car accident lawyer can assist you in filing the Notice of Claim. Given the very short time window, it is important to seek legal advice as soon as possible. If you think you may have a claim against the City and County of Denver for injuries you sustained in a motor vehicle collision, an aggressive Denver auto accident lawyer can help with your case. Contact Bloch & Chapleau, LLC for more information.